The American Metalcraft BBC39 deluxe bottle and can opener's offers versatility for a variety of tasks at the bar. 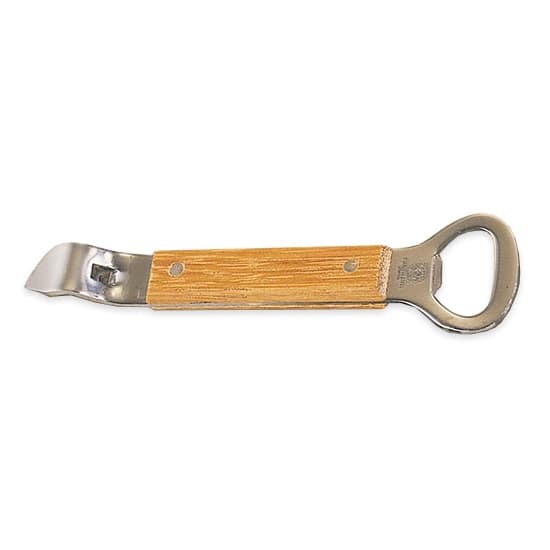 The rounded end provides leverage for opening sodas and beer in glass bottles, while the sharp tip is ideal for puncturing solid metal lids found on the cans fo certain foods and drinks. Constructed of stainless steel, the ends are durable and resist corrosion, making this piece perfect for use in commercial establishments. 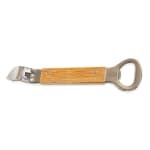 With its hardwood handle, the opener offers a comfortable, secure grip. The American Metalcraft BBC39 deluxe bottle and can opener’s slim design easily fits in pockets for quick service. "If it's "the little things that mean a lot," this little church key/punch type can opener is the answer to a lot of prayers. So many of these de..."
Finally, An Opener Worth Having! "If it's "the little things that mean a lot," this little church key/punch type can opener is the answer to a lot of prayers. So many of these devices are pure garbage and here's an American Made tool that is worth the money. Maybe you don't need it often but when you do, you need it to work every time. Those cheap foreign made openers have met their match -- reasonably priced quality from right here in the god old USA. Good job guys."